Dictionary.com says excess weight is not necessarily a sign of poor health. Earlier today, Dictionary.com announced that it has named "misinformation" as the 2018 Word of the Year. Ironically, the example Dictionary.com cites as misinformation in health reporting is itself the epitome of misinformation. The press release outlining Dictionary.com's Word of the Year announcement described several examples where misinformation was presented to the public, prompting the destructive spread of false information through various channels (such as social media). The announcement also explained the difference between "misinformation" and "disinformation." "The word misinformation is particularly interesting as its meaning is widely conflated with disinformation," said Jane Solomon, linguist-in-residence at Dictionary.com. "The intent behind the two words is important to note — with misinformation, the intent is generally not to mislead; with disinformation, the intent is always to mislead." Examples of disinformation include government propaganda or smear campaigns by rival politicians. Some examples of misinformation given in Dictionary.com's announcement include technology companies' role in spreading false information (e.g. Facebook's Cambridge Analytica scandal), social media being used to incite violence or conflict around the world, inaccurate discussions about the environment leading to climate change denial, the rise of flat Earthers, and so on. We've also seen the rise of misinfodemics over the last several years, which is the spread of misinformation about health that leads to the spread of real-world health crises. This is seen with the anti-vaxxer movement, which started with a report by a former physician whose license was revoked and work retracted, but whose efforts have led to a sustained fear of vaccines. A study published earlier this year in the American Journal of Public Health found that the same troll and bot accounts that attempted to influence the US election had also been sharing false information about vaccines on Twitter, with the goal of eroding public trust in vaccines. A screenshot of Dictionary.com's 2018 Word of the Year, misinformation. And here is where we encounter a problem. It's likely that many news sites won't pick up on this part of the press release, but just as likely that some will. Here at BRIGID, literally hundreds — if not thousands — of peer-reviewed science journal articles cross our desk each and every year, outlining the long list of health hazards that result from being overweight and obese. These effects can also impact the health of individuals' children, due to the multigenerational deleterious impacts that being obese can have. To say that society is merely pushing a narrative about weight when it comes to reports of the obesity epidemic is a dangerous form of misinformation that we cannot afford. Is Being Overweight or Obese Really So Bad? 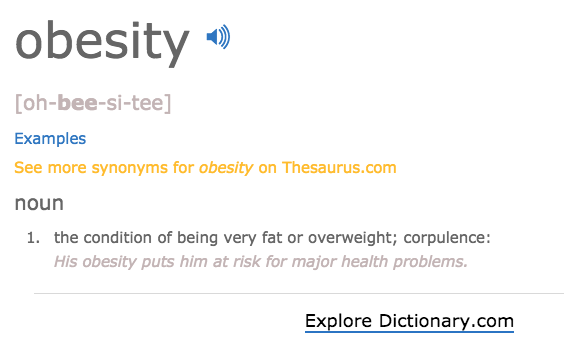 In the context of obesity, Dictionary.com's press release refers to "many studies" showing that weight is "not necessarily a sign of poor health," yet they do not mention any particular studies. In fact, studies indicating possible beneficial effects of slight excess weight do not apply to obesity and have come under fire for having serious methodological flaws. In science, that is usually enough to start over — to design the experiment anew. Though the term "healthy obesity" arose in the 1980s to identify a subgroup of obese individuals who were technically obese but still metabolically healthy, the term is now considered to be a misconception. Those once considered to be "obese but healthy" have been shown to have a slew of health problems, like Type 2 diabetes, chronic kidney disease, and so on. In an April 2018 issue of the Annals of Human Biology, William Johnson wrote that the idea that it is possible to be obese and not have any health complications is attractive to those with weight concerns, but is a concept that is best laid to rest. 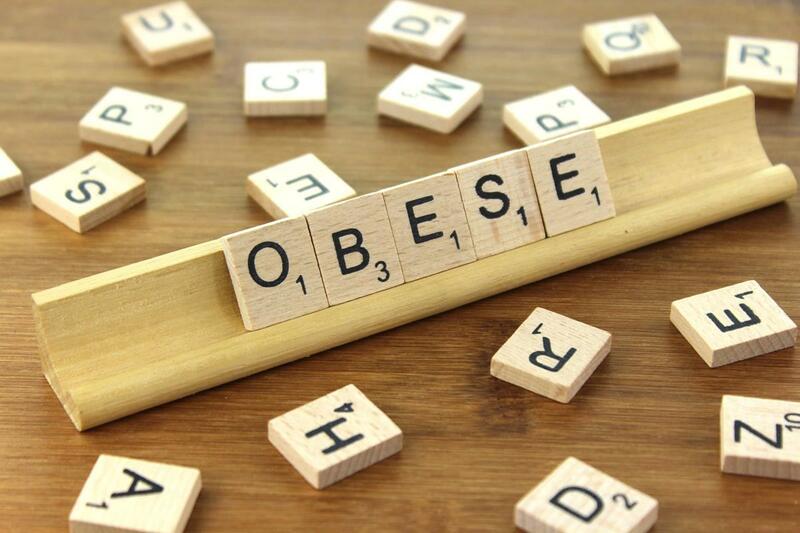 The phenomenon of healthy obesity may have arisen due to the fact that many of the subjects in healthy obesity studies were young obese individuals — before health issues set in. 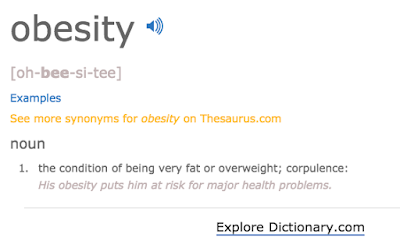 A screenshot of Dictionary.com's obesity entry. "His obesity puts him at risk for major health problems." There is nothing open to interpretation when it comes to obesity. The science is officially in, the case if officially closed: Obesity is not good for health. However, what we do with that information is a separate issue entirely. Should we shame overweight or obese people into losing weight? No, since that would be both ineffective and cruel. But no less dangerous or ineffective is the act of minimizing the dangers of being overweight or obese. It could even be seen as underhandedly cruel. Conditions frequently underlying obesity include food addictions and binge eating disorders, which can have serious physical and emotional health implications. These should be treated with compassion by practitioners armed with the best and most up-to-date information. Effects of Obesity. A helpful overview — defining obesity and the health dangers of being obese. Association between BMI and mortality. The researchers found that parents' BMI and offspring BMI were both associated with mortality from all-causes, stroke, diabetes, and cancer. Understanding Long-Term Effects of Childhood Obesity. "Researchers found that individuals with worsening or persistent obesity had significantly greater cardiovascular risk later in life. They were more likely to have conditions like diabetes, high blood pressure, high cholesterol and plaque build-up in the arteries, all of which greatly increase risk for heart disease and life-threatening heart events." Does obesity cause cancer? "If a person is overweight they are more likely to get cancer than if they are a healthy weight." Effects of Maternal Obesity on Offspring. Epigenetic mechanisms may explain effects of maternal obesity on children. "Maternal obesity and diabetes during pregnancy, which are on the rise, are strongly associated with altered fetal growth and development as well as with lifelong perturbations in metabolic tissues." Being overweight, not just obese, carries serious health risks. "Having a high BMI accounted for 4 million deaths globally, 40% of which occurred in people who were overweight but not yet obese."